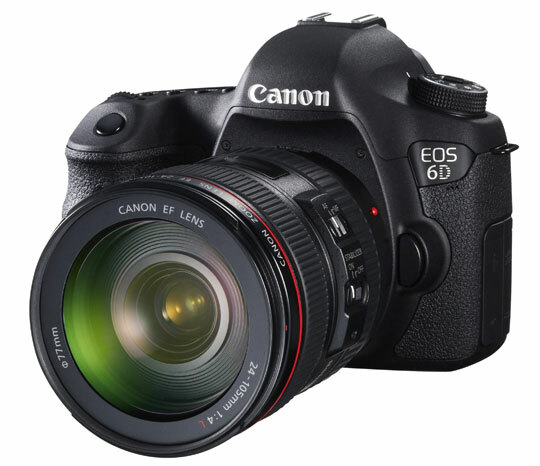 Introduction (Canon EOS 6D): Advancement in digital photography calls for more advanced cameras. They should include the highest possible range, fastest burst rate, greatest compatibility and highest mega pixel rating among others. Camera makers have strived to make the lightest and most comfortable to use, without compromising the performance. However, the prices of the gadget have to be put in to consideration. Below is an analysis of a recent camera in the market from Canon named Canon EOS 6D. Taking the front view, this camera has a simple look with a large fore head which houses the large Penta-prism. This one lack a pop-flash which is common to the high-end Canon fills frame cameras. It has a self-timer lamp is perfectly fitted between the grip and the lens mount. The infrared remote receiver is fixed into the grip which is contoured. On the lower left side, the Depth-of-field button is fitted. 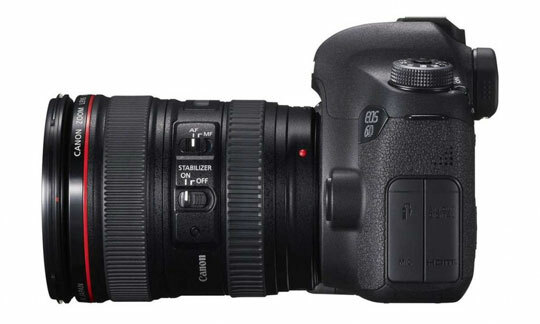 There are three microphone holes which are located beneath the Canon EOS 6D logo. The lens button sits in the usual position in the Canon series. 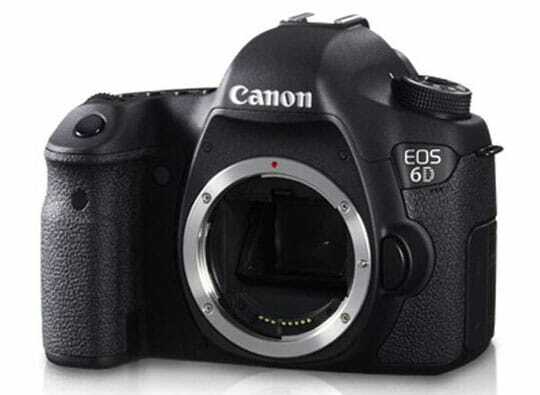 The Canon EOS 6D comes with Bluetooth and Wi-Fi enabled features. It also supports UHs -1 card slot with impressive memory compatibility. In addition, geographical location will now be possible thanks to the GPS inclusion. The EOS remote control enables integration to IOS and Android operating systems. This enables control of the camera operation from these devices. Having being Wi-Fi enabled the transfer of files to personal computers and uploading them. The GPS will enable Geo-tagging of the images taken from any place. It boasts one of the highest resolutions which are rated at 20.2 mega pixels. The ISO sensitivity is one of the highest in the market with an adjustable range from 100 to 25,600, which can be extended to 102, 400. Its auto focus is -3 EV. Its AF sensor is built in such a way that it will enable easier and more appealing focus in darer conditions. This is the greatest advancement in Canon SRL cameras. It comes with a 35 mm CMOS sensor which has a three inch 1.04 dot LCD display. This new gadget weighs much less than its predecessors. It has a total weight of 755 grams. This is arguably the lightest in this category of high performance cameras. This will prove great for the travel photographers. 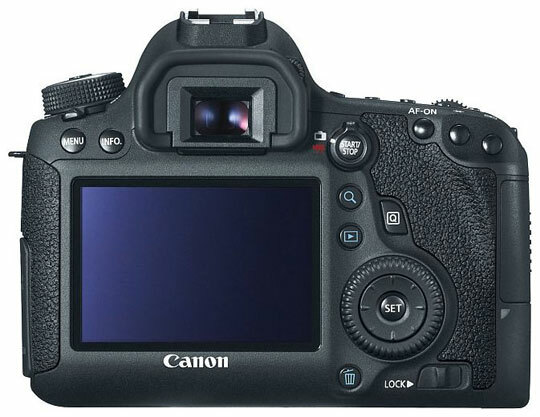 The Canon EOS 6D comes with a simplified control tool. This includes the picture style buttons which are located on the upper side of the LCD. This is an improvement which eliminates the joystick containing the buttons as in the previous cameras in this series. This serves to ease navigation and tool selection as well as save on time. The movie record/live-view switch arrangement has been improved too. These enables easy access to the movie record mode and start the recording. These new device is perhaps the best in AF micro adjustments. This is rated up to forty with independent wide- long ranges. It has an LCD monitor which is covered with resin and measures three inches with a ratio of 3: 2. It has an inbuilt auto level control but lacks auto brighten tools. The advanced tools in this Canon EOS 6D make the images much better. The 20.2 megapixels and auto lens cleansing will enable high clarity images within a short and long range. The high burst rate enables quick images without compromising the quality. Expandable ranges will high quality movie images. The compatibility of this camera is astounding. It can share images directly via Wi-Fi and Bluetooth as well as accurately locate the geographical position by GPS. The expandable memory slot will ease image transfer. However, the images recorded in HDR mode are in JPG format only. This camera is much reduced in size without compromising the features. It is an excellent choice for professional travel photographers. The rugged cover will also enable survival in harsh weather conditions such as moisture and dust. Long battery life is also a great improvement. This will prove important to long time photography which at times has to be done in remote areas. Having the advanced features, then pricing comes in an arguably the most competitive in the high end market. Perhaps this is meant to survive the high competition from other brands. 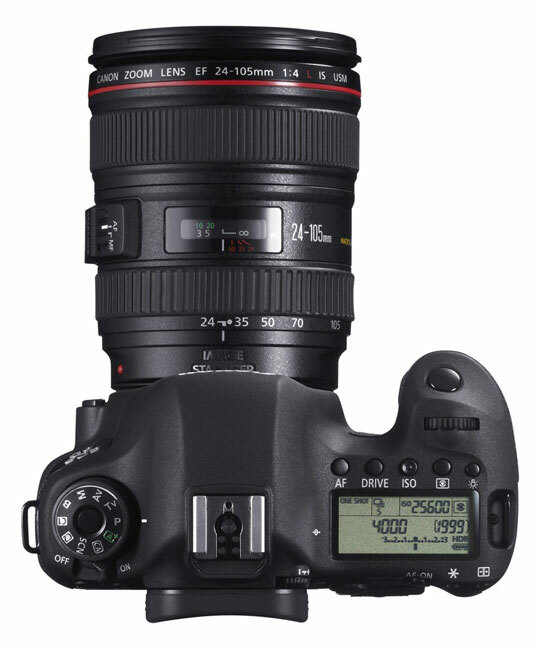 To know more about Canon EOS 6D please visit the official page or the wiki page.